The 2019 Toyota Land Cruiser is back and better than ever. If you’re someone who loves off-road capabilities and the convenience features that are seamlessly integrated into the dashboard, you’re going to love the 2019 Toyota Land Cruiser. It has a comfortable interior design and a sleek and modern exterior. Due to the fact that it has so many exciting features, the extensive off-road capabilities, and the long life expectancy the MSRP is higher than some other SUVs. However, if you’re ready to take your driving to the next level both on and off the road the extra cost will be worth it. The MSRP for the 2019 Toyota Land Cruiser starts at $84,765 but can increase if you select upgrades or accessories. If you’re looking for a vehicle that will be able to do everything you’re looking for (and more! ), it’s time to consider the 2019 Toyota Land Cruiser. The aforementioned features will help you to safely navigate almost any terrain, no matter how rugged it may be. This is exciting and obviously very appealing to those who enjoy off-road adventures. If that is important to you, you’re going to love the 2019 Toyota Land Cruiser. Instead of settling for a vehicle that may get stuck or not be able to handle difficult terrain, why not enjoy the 2019 Toyota Land Cruiser? Although performance is typically not at the top of every customers’ list, it definitely should be. The performance capabilities will indicate how the vehicle will handle inclement weather or unforeseen circumstances. It’s critically important to understand these aspects of the vehicle prior to getting behind the wheel. 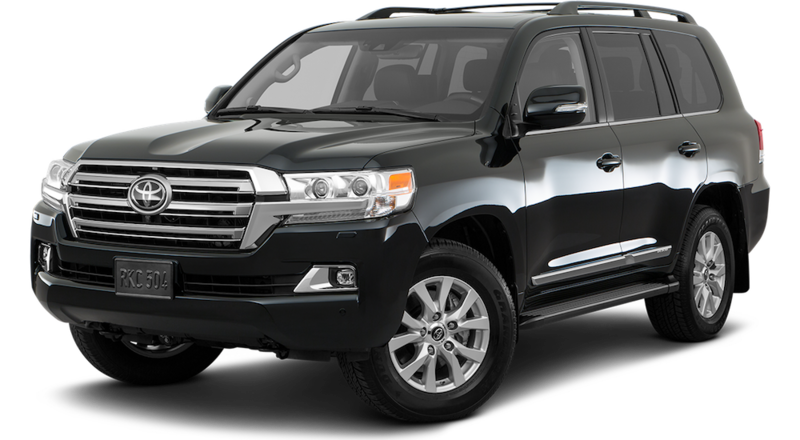 The 2019 Toyota Land Cruiser has a 5.7L V8 engine that offers 381 horsepower and 401 lb.-ft of torque. This means that your vehicle will be able to withstand almost any challenge that is presented before it. Additionally, it comes equipped with an 8-speed automatic transmission, which is able to shift depending on the throttle input, vehicle speed, and incline to ensure that you’re getting the most efficiency out of your vehicle. The suspension that is integrated into the 2019 Toyota Land Cruiser will ensure a smooth and comfortable ride, no matter what terrain you’re traversing. Ready to take your adventures to the next level? Get behind the wheel of the 2019 Toyota Land Cruiser today! If you’re looking for a vehicle that will be able to handle almost anything, you’ll be impressed by what the 2019 Toyota Land Cruiser has to offer. Other safety features include technologies such as Blind Spot Monitor with Rear Cross-Traffic Alert, Side-impact Door Beams, and Safety Connect. The 2019 Toyota Land Cruiser was truly designed with your safety in mind. If you’re ready to take your adventure to the next level, you’ll love the 2019 Toyota Land Cruiser. There are few things that this vehicle can’t do when it comes to off-roading. You’ll be able to kick back and enjoy the confidence that comes from knowing that your vehicle can handle any terrain thrown its’ way. The 2019 Toyota Land Cruiser will truly exceed your expectations when it comes to off-roading, as it has all of the features and capabilities necessary to keep you informed and safe while exploring off-road terrain. If you’re interested in investing in a vehicle that is ready for anything, it’s time to check out the 2019 Toyota Land Cruiser. Performance is also critically important to understand prior to committing to a vehicle. If you’re unsure if the 2019 Toyota Land Cruiser is right for you, the performance is definitely a major selling point. The 5.7L V8 engine is definitely a highly sought-after system for a variety of reasons. Some of the top reasons include the fact that it has Dual Independent Variable Valve Timing with Intelligence, Acoustic Control Induction System and more. This engine will truly revolutionize the way you drive with 381 horsepower and 401 lb-ft of torque. In addition to a powerful and efficient engine, you also get state-of-the-art suspension with the 2019 Toyota Land Cruiser. This vehicle offers an independent double-wishbone suspension, which means that you won’t have to worry about it not being able to handle a difficult situation. Conversely, the suspension will be able to carry you through even the toughest situations. Lastly, the 2019 Toyota Land Cruiser comes equipped with Skid Plates that protect crucial areas like the front suspension, radiator, fuel tank, and transfer case. The Skid Plates are in place to protect those vital parts from any potential damage while traversing off-road terrain. Having the Skid Plates in place is critical to the longevity of your vehicle and will ensure that your vehicle will be a part of your family for years to come. Ready to commit to the 2019 Toyota Land Cruiser? Contact your local dealership today for more information! All of the aforementioned features will help to keep you safe and informed on the roads. Even in busy city streets, you’ll be able to safely navigate to your destination. In addition to those excellent resources, the 2019 Toyota Land Cruiser comes equipped with Safety Connect, which provides the driver with access to Toyota’s 24/7 call center, Emergency Roadside Assistance, Stolen Vehicle Locator, and Automatic Collision Notification. All of those features will help to keep you safe and will be a major help should an emergency occur. The 2019 Toyota Land Cruiser was truly built with the peace of mind of the customer in mind. If you’re ready to get behind the wheel of this revolutionary vehicle, contact your local dealership today. You’ll be glad that you did. 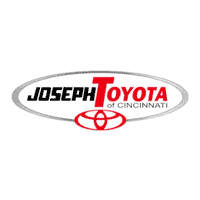 Joseph Toyota is the place to shop for all-things-Toyota! If you’re a local, you know that there are countless places that you could shop for your new vehicle. However, if you’re ready to shop with a dealership who truly cares about their customers, look no further than Joseph Toyota. This dealership will exceed your expectations when it comes to customer service. We value our customers and want them to drive a vehicle that will meet their needs. At the end of the day, customers are the heart of the work at Joseph Toyota, and it’s evident in our business model. Furthermore, if you’re looking for a dealership that offers the absolute lowest prices possible on the best inventory in town, you’ll find it at Joseph Toyota. Why pay more for the same vehicle at another dealership? Instead, pay less with Joseph Toyota. Give us a call or stop by today… you’ll be glad that you did!